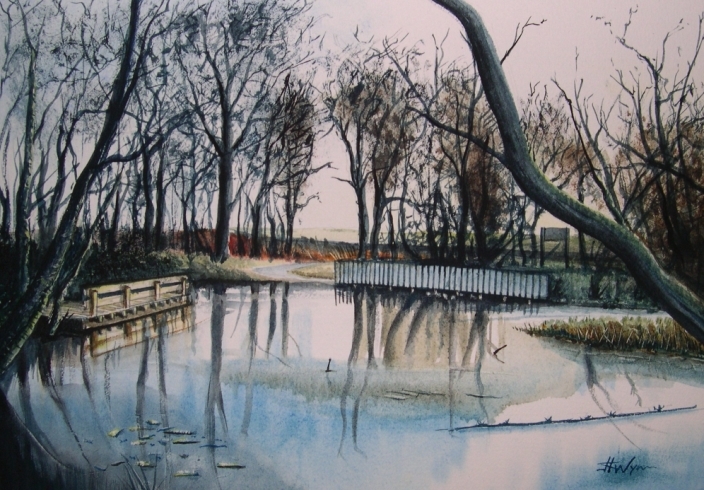 The Welfare Park Pond at Wingate - Watercolour c.2011. Brings us to the point where I decided to create this web site. The picture is overworked, but was a good learning vehicle.